Results of the judged show are here. 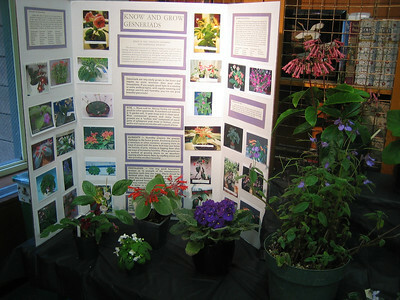 Entries are now open for the September 8, 2012 Show and Sale - Gesneriads by the Golden Gate. Please follow the link for details and for the schedule and entry form. We are growing lots of plants for sale. Lots of kohlerias, sinningias, and streptocarpus. We'll also have a limited number of Columnea kewensis, Lysionotus serrulata, Pearcea sp . Ecador, etc.